Dongilli says since first opening Madonna’s Omaha Campus, in October 2016, the hospital has been ramping up staff and resources in response to the growing number of patients entering the facility. The hospital anticipates opening the additional beds in January. Madonna originally opened the 32-bed Specialty Hospital on the fourth floor of Nebraska Medicine-Bellevue in 2014. In early October last year, the 32-beds were transferred from Bellevue to Madonna’s new Omaha Campus on 175th and Burke Street. Madonna’s Omaha Campus fills a growing need for specialized, comprehensive inpatient rehabilitation services in the metro area. The campus consists of 110 private-rooms in two hospitals—an acute rehabilitation hospital with adult and pediatric rehabilitation units specializing in neurological rehabilitation and a specialty hospital specializing in complex medical rehabilitation. The Madonna Institute of Rehabilitation Science and Engineering will be onsite, providing opportunities for advancement in rehabilitation research for patients. 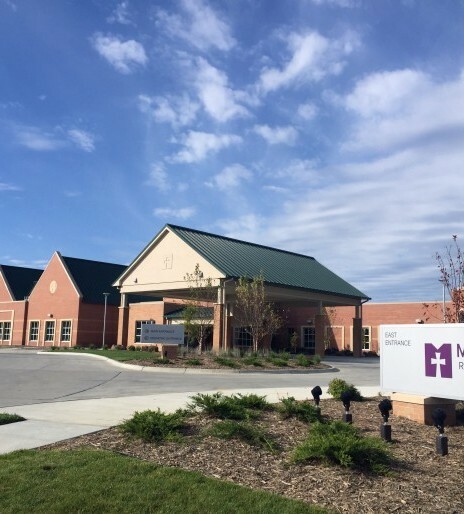 The demand for Madonna Rehabilitation Hospitals’ cutting-edge rehabilitation has drawn patients from 45 states, every county in Nebraska and more than 190 cities and towns in western Iowa in the last five years. Madonna offers world-class medical rehabilitation and research, serving the nation’s top two percent of medically complex cases. Specializing in brain trauma, spinal cord injuries, pulmonary conditions, stroke and neurological diseases for adults and children, Madonna provides hope and healing while returning patients to their community settings at a higher rate than industry benchmarks.